The Aquarius Barrier at Middleton Beach is the first of its kind anywhere in the world. The barrier was installed in March 2016 and will remain installed for 3 years, until March 2019. The monitoring and maintenance program is carried out by local professional divers, South Coast Diving Services. The Aquarius Barrier has successfully endured many winter storms over its first year of operation. It has proven its ability to withstand strong winter swell conditions. It has also endured an extreme influx of seagrass through the cove area. We have received an overwhelming amount of support from the local Albany community. Many residents and visitors are enjoying swimming in the protected area and using the enclosure for a range of activities. The key to the success of the project has been a thorough consultation process. The City of Albany coordinated a process that allowed us to engage with key stakeholders and listen to any concerns or potential improvements that could benefit the barrier. 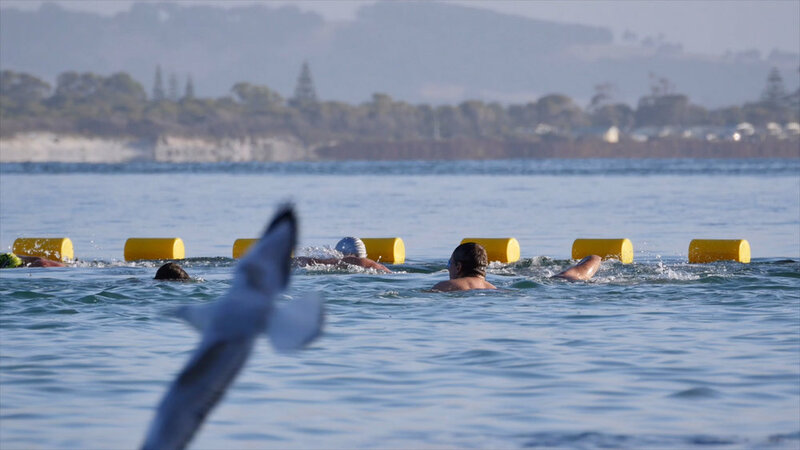 We have consulted and collaborated with the Albany SLSC on the project to ensure that the barrier does not interfere with their regular activities. Initially surf club events and community events (like triathlons and open water swims) were held outside the barrier. Now the community is beginning to embrace the barrier and utilise the protected area for the athletes. The images below are courtesy of the Albany SLSC.